I’m hardly in touch with those school ‘n’ college buddies with whom I shared my special tiffin-box always, but love cherishing those moments! Mix all ingredients of dough and knead to make a soft (roti) dough. Cover it and keep aside for 10 mins. Crumble paneer and add mashed potato along with all spices in it. Mix them well together. Divide the stuffing in 6-8 portions and make balls. Divide the dough in equal portions as well and roll them to make 3-4″ in diameter. Put one ball of stuffing into it and fold covering it completely with dough. Roll it out again to make 7-8″ in diameter (use wheat flour for dusting). 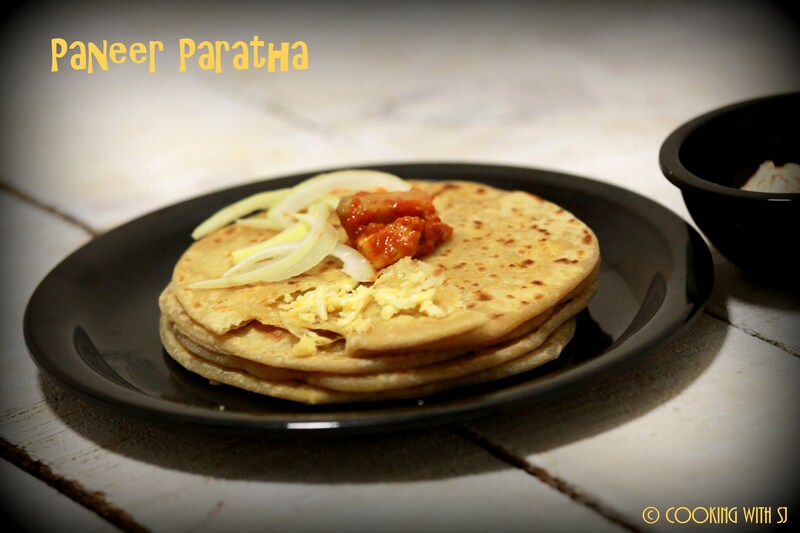 Heat the pan and cook this paratha on both side by applying clarified butter (or oil). Thanks Priya :) I really enjoyed it… One more stuffed paratha variety is coming soon!!! 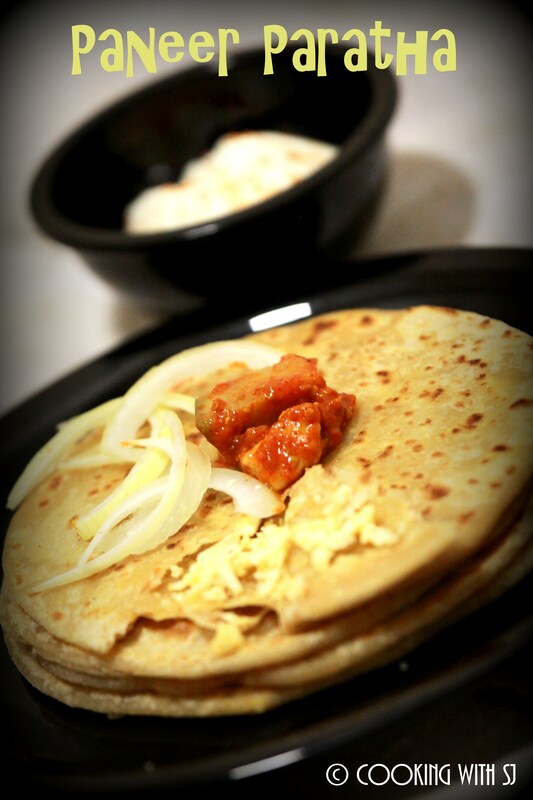 oh Yummyyy.. paneer paratha quite healthy and quite nutritious best goes in break fast along with dahe / raita just yummy. :) thx for sharing dear!